Investigation of the Messiah advent - International Team of Independent Analysts. Over the last couple weeks, unprecedented news has drawn a wide response on the internet. This is the news regarding the probable advent to or manifestation on the Earth of the Teacher of humanity or Messiah who is expected by world religions, as well as regarding a striking, so far inexplicable effect of the so-called nonverbal communication at the level of deep inner feelings that took place in the TV programme The Meaning of Life: Immortality posted on YouTube (07.09.2015). In the programme, physician and academician Igor Danilov was having an interesting conversation with priest Father Sergey, touching such topics as the sense of human existence, afterlife, the essence of enlightenment, the genuine Holy Spirit, and many more. The information discussed was so unusual and unexpected that it literally boiled YouTube and Russian-language social media. Fuel was added to the fire by strange, so far unaccountable manifestation of “luminous effects” (an aura, as we suspect) around Igor Danilov’s head, recorded by the digital camera and observed throughout the three-hour programme. The programme filming was carried out in early September in Kiev. Due to the stir caused by the “aura” appearance, there followed reproaches and accusations of conscious falsification of the video, hence a week later the AllatRa TV camera crew officially declared they were not involved in any “light manipulations” and had no intention to do that at all. nor trying to collect any evidence basis. The only thing was obvious: there was a person, incognito living on the planet Earth, who’s known in various cultures by different names: Bodhisattva, the Teacher, Sensei, Messiah, the Prophet, Avatar... Although we already knew such an epoch-making personality was living among people and giving the human society primordial knowledge of the human nature via books by some Anastasia Novykh, neither manifesting himself in any way nor flaunting his knowledge and abilities, our attempts to communicate the sensational information to the powers that be failed, since it’s very difficult for people to believe in something so extraordinary. 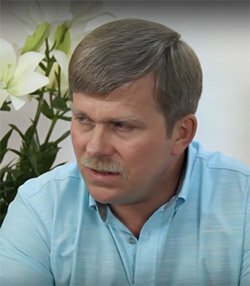 However, in September 2015 Igor Danilov suddenly agreed to give two interviews together with Orthodox Father Sergey, which contradicted the natural course of events in fact, because, as He said himself, Bodhisattvas interfered in the course of human history in exceptional cases only. Why He did appear publically with an appeal to people is what all of us are to find out very soon. Having promptly analysed plenty of information (found by ourselves and kindly provided by others), we, the Point of View team of independent analysts, finallydecided to act and at least to collect an evidence basis on Who is indeed the physician and academician Igor Danilov. Shortly after we arrived at an assumption, totally incredible at first glance, that he… and the highly spiritual personalities who came earlier before, such as Rigden Djappo, Osiris, Ptah, Ahura Mazda, Archangel Gabriel, Angel Jibrail, Agapit of Pechersk… (the list may be extended), as well as the messiahs expected by different religions and peoples of the world, including the Comforter, the Holy Spirit (Christianity), Imam al-Mahdi (Islam), Kalki Avatar (Hinduism), Maitreya (Buddhism), Messiah (Judaism), Saoshyant (Mazdaism), Geser Khan (Turkic peoples), the White Brother (Hopi Native Americans)...., are ONE AND THE SAME PERSON! It should certainly be added that, before coming to such an inconceivable conclusion and making such a sound public statement, we took enough time to think over what we intended to do. In order to collect and systematize the information obtained, we created the http://rgdn.info website, where al materials discovered are being posted. 5) A striking resemblance in appearances of Saint Agapit of Pechersk and Igor Danilov. You can further read about what has urged us to carry out a relevant research. 6) The outcome of habitoscopy (portrait) examination proving that the aforesaid resemblance in appearances does exist. 7) A strange, so far inexplicable ”display of the aura” of Igor Danilov, recorded with a digital camera, observed during the entire three-hour programme, and having a moving and uneven character. 8) An episode of nonverbal communication at the level of deep inner feelings, no analogues of which has ever been seen before on television (minutes 2:44:00 – 2:46:00 of the programme The Meaning of Life: Immortality). The said episode provoked a real surge of emotions in reviews and comments of the internet community. This has urged us and several enthusiastic amateurs to carry out a series of scientific experiments (see below). 9) Experiments (measurements of background radiation and magnetic field strength; tests on wheat germs; aura measurements before and after the programme viewing… recent experiments are being completed). 10) Hundreds of responses and comments on the three programmes. Within two months after the programmes, an enormous amount of video reviews appeared on the internet (selected ones are collected in our Reviews section). 11) And, last but not least, a distinct resemblance between Igor Danilov and the main character of the books by mysterious Anastasia Novykh. Assumption that Igor Mikhaylovich Danilov is exactly Rigden Djappo (the Shambala Sovereign) who answers Anastasia’s questions in the sensational ALLATRA book which was released in 2013 and has become an absolute bestseller in esoteric literature. 12) Almost legendary video ХХХ. Programme about Geliars filmed in 2014, where Igor Danilov was responding to questions of the programme participants, being off-screen. Our statement of manifestation of the global spiritual leader is by no means aimed at gaining dubious popularity, thus we deliberately do not disclose our names. Our only intention is to provide the world community with information on the unprecedented event that has been eagerly waited for by millions of true believers across all continents. It’s up to every person whether to believe it or not, and everyone should decide for themselves what to do with the information received. Our task is to carry out research, get evidence, and impart the Good News to the community (if confirmed). So, we are trying to answer the question: WHO IS IN FRONT OF US? We kindly welcome everyone to join the investigation.